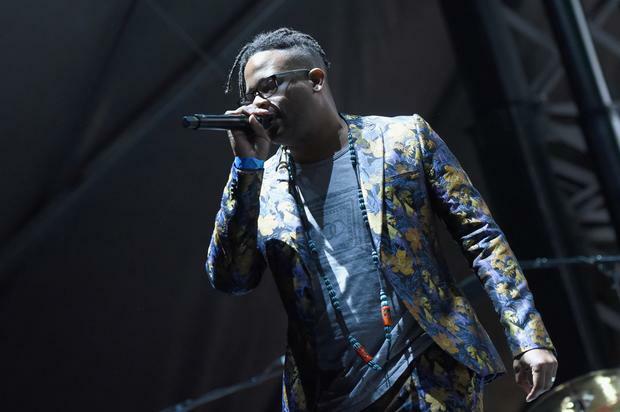 Chicago native Open Mike Eagle officially releases the video for “Unfiltered” featuring lyrical comrade Danny Brown. The video sticks to the theme of the “Unfiltered” track by reflecting the concept of going against moral standards in order to fully live in one’s truth. In the newly released video we see Open Mike Eagle starring as an office worker who experiences bursts of unfiltered moments, mainly manifesting via Danny Brown. The visuals offer an interesting perspective into the potential dangers and freedoms surrounding letting your co-workers in on how you truly feel about them. The video’s release foreshadows a new Comedy Central stand-up show with duo Open Mike Eagle and comedian Baron Vaugh (Mystery Science Theatre 3000). The music series known as the “New Negroes Soundtrack” is set to premiere this Friday, April 19th. Amongst the show’s guest list are popular comedians Hannibal Buress, MF DOOM, Lizzo and Father. Each episode is also set to end with a track by Open Mike Eagle featuring a fellow artist.